What can property expect from the new metro mayors? Day one for six new metro mayors in the UK. Who are they and how will they impact the investment landscape of their regions? Greater Manchester, Liverpool, Tees Valley, the West of England, West Midlands and Cambridgeshire and Peterborough all elected mayors on Friday. In their new roles, the mayors will have strategic responsibility for economic policy, transport and housing. They will also oversee combined authorities made up of existing council leaders. Colliers International chief economist Walter Boettcher and Centre for Cities principal economist Paul Swinney assessed the new mayors and their impact on property with EG’s national and sectors editor Stacey Meadwell and North of England correspondent Louisa Clarence-Smith. 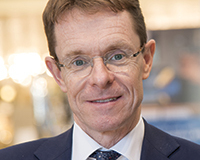 Andy Street – A familiar face in business, the former John Lewis managing director narrowly won for the Conservatives. His biggest challenge now will be to win the support of the predominantly Labour local authorities. The Conservatives hold just seven of 28 parliamentary seats in the region and control only Solihull Council. However, all of the councils except Sandwell have had Conservative – or partly Conservative – administrations within the past decade. As mayor, Street will oversee £8bn of investment into the region over the next 30 years. Elected on a mandate to invest in skills, regenerate local high streets and improve the local transport network, he made tackling homelessness a policy priority in his victory speech. Street has also pledged to “protect the character and identity of our villages and green belt”. Colliers International chief economist Walter Boettcher said his first priority should be finalising the “final alignments and repercussions of HS2”. Andy Burnham – The Labour MP was elected with a clear mandate, winning more than double the votes of his nearest rival. 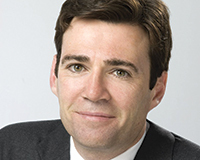 Originally from Liverpool, Burnham is seen as an outsider to the Greater Manchester political establishment. 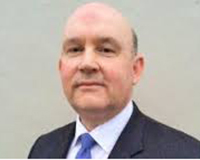 However, over the weekend he appointed Manchester city council leader Sir Richard Leese as his new deputy for business and economy, in what could be seen as a wise move to win the support of the existing political figures who have led the devolution process so far. The industry will need to watch how Burnham toys with the Greater Manchester Spatial Framework – the region’s development strategy for the next 20 years. Led by the GM combined authority chief executive, a draft has recommended building on some green belt land. On the campaign trail, Burnham branded the plan “unfair and disproportionate.” Boettcher says Burnham’s strength would be that he is “well-connected nationally, he’s probably very good at doing national and international promotion – and let’s not forget that’s one of the reasons Greater Manchester has been so powerful”. Steve Rotheram – The Labour candidate in the Liverpool race jogged to victory with 59% of the vote compared to the second place Conservative candidate Tony Caldeira who received 20% of the vote. Rotheram, who is the MP for Walton, wants to work with the Manchester metro mayor to create a “North West Powerhouse” that will ensure Liverpool is a key part of the wider Northern Powerhouse initiative. United in party membership, Rotheram and Burnham are thought to have different ideas about the future of the Labour party. As Labour leader Jeremy Corbyn’s political aide, Rotheram is seen as more closely aligned to the hard-left contingent of the party, while Burnham, who was not present when Corbyn arrived in Manchester to congratulate him on his victory on Friday, is seen as being closer to the centre-left field. 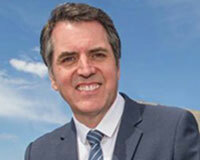 Rotheram wants to see Liverpool considered for the relocation of government departments or large public bodies. He is backing city mayor Joe Anderson in calling for Channel 4 to move to Merseyside. But he stresses the need to protect the city’s green spaces. Developing more Merseyrail stations is vital to the success of the region’s economy, according to Rotheram, who is also committed to reducing the Mersey tunnel tolls. 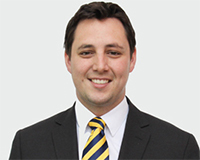 James Palmer – The newly elected Conservative mayor will lead a combined authority of six councils, with Peterborough in there as a unitary authority. 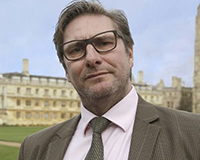 There are fears that Cambridge will become the centre of attention for the new mayor at the expense of Peterborough and the other areas in the region. Equally, some people are concerned that Peterborough will join with Cambridge to form a powerful axis that wins the lion’s share of the investment. Palmer, a dairy farmer and leader of East Cambridgeshire District Council, is seen as a local insider who will be well placed to diffuse any conflict between the two cities. He claims that business growth in East Cambridgeshire was 12% last year and that he has made big strides in making the council more “business-friendly”. Palmer wants to build an underground transport system in Cambridge and a light railway to the surrounding villages. Swinney says the area is different to the other regions with newly elected mayors because there has not been a strong history of cross-partnership working between the areas so that will be one of the biggest challenges. Tim Bowles – The Conservative candidate came top after a close race. The West of England region is made up of Labour-dominated Bristol and the largely Conservative-dominated Bath, North East Somerset and South Gloucestershire. Bowles narrowly beat Labour’s Lesley Mansell by 51.6% to 48.4%. He has a strong business background as a manager with a global events firm. He will have to work with Labour’s Marvin Rees, who is the existing elected mayor for the city of Bristol. Swinney says he expects there to be tensions in drawing up the region’s spatial plan over “Is Bristol getting everything? Is Bath getting enough?” But he said the role of an effective mayor will be to get those areas to work together as well as having a good relationship with the national government.